I was just sent an amazing YouTube Video produced by the Womens Media Center , an organization I am proud to support and I encourage you all to do the same. The purpose is to highlight the unbelieveable sexist comments made over the past few months regarding Hilary Clinton. Whether or not you like or supported Hilary, this video is worth a view. This is just not right. 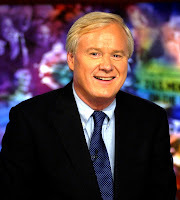 Chris Matthews get’s my award as the guy I would most like to see pelted with rotten tomatoes . I am not sure he is married, but if he is, someone tell his wife to watch this video. Thanks, Jackie! The Women’s Media Center has recieved so much feedback to this piece. If you want to send a message to the media, please sign our petition at html://www.womensmediacenter.com/sexism_sells.html. Marc Rudov’s statements were much worse than Chris Matthew’s, as he seems to resent women of authority, as well as having his own confidence issues. His comments are reminiscent of the not-so-funny, lunch break conversations at a construction site. He’s also the guy in college who never had a date – and then blamed it on the women. I am married to a brilliant, beautiful lawyer who’s respected for the work she does and the family she’s raised, as much as the heads she still turns…. including mine.